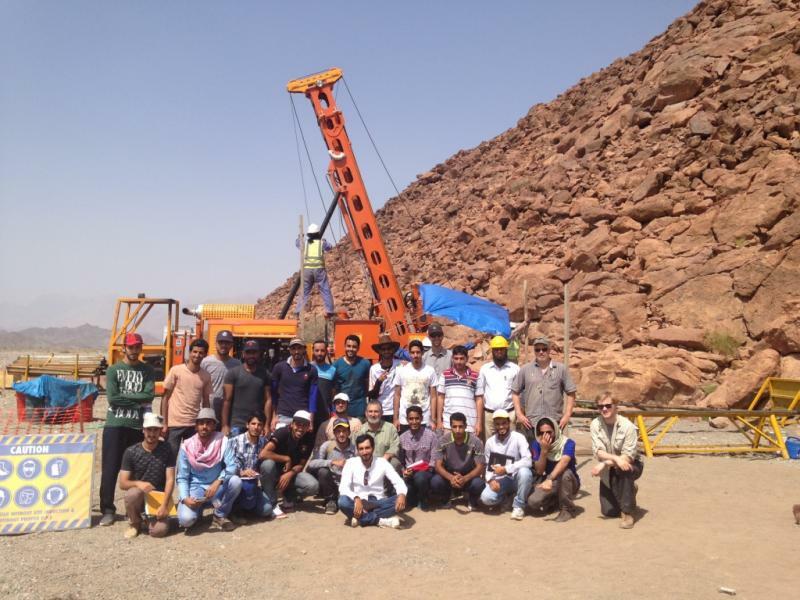 Site Visit: Visitors from the Geological Society of Oman at site BA4 on the morning of 24th February 2018. 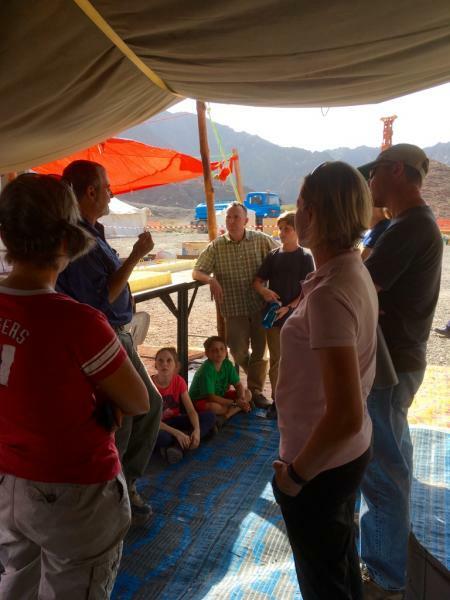 Site Visit: We were visited by a group from the US Embassy in Muscat on the afternoon of 24th February 2018. 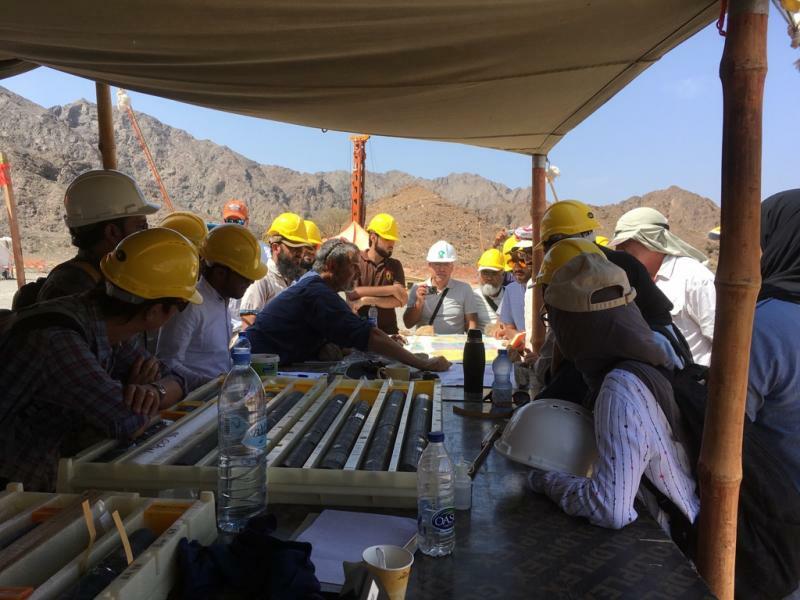 Site Visit: The OmanDP in-country Steering Committee visited site BA1 28th January 2018. Site Visit: A group of Geology students from the German University for Technology visited the CM1 and CM2 sites on 11th December 2017. 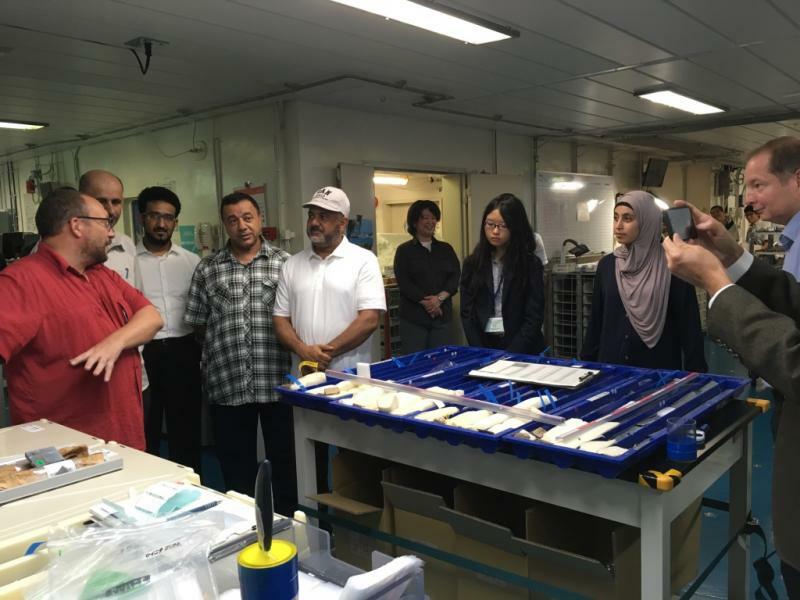 Ship Visit: The OmanDP In-Country Steering Committee visited the science team who were describing the Phase 1 cores onboard DV Chikyu in Japan in August 2017. 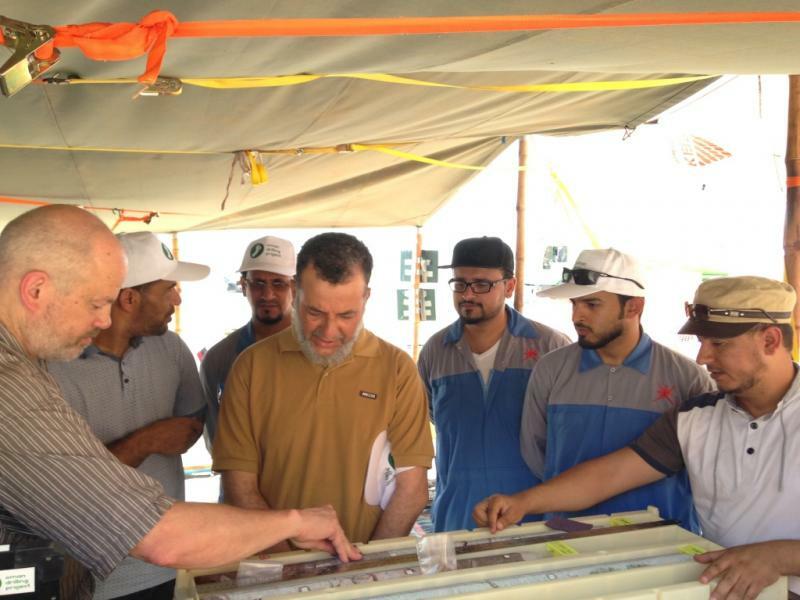 Site Visit: The Vice Chancellor of Sultan Qaboos Univerity visited site BT1 on the afternoon of 22nd March 2017 and joined the drill site team in celebrating the successful conclusion of Phase 1 drilling! Site Visit: Students from the Muscat College of Higher Technology visited site BT1 on the morning of 22nd March 2017. 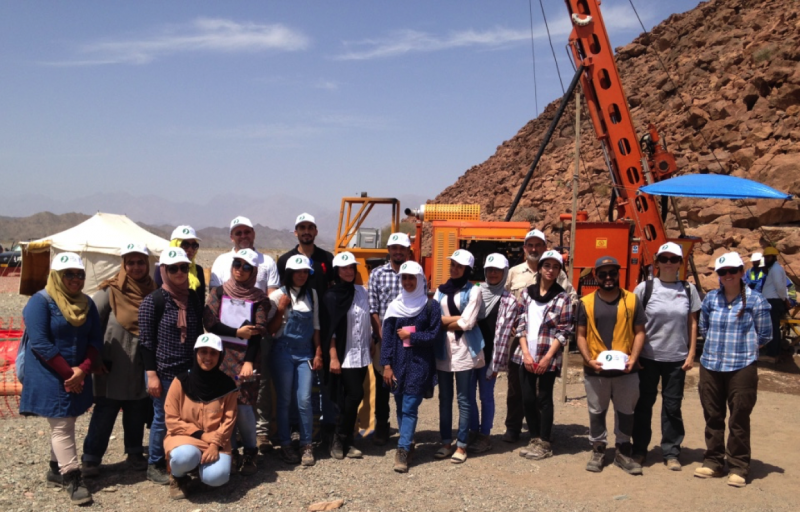 Site Visit: A visit from a group of Geology students from the German University for Technology at the BT1 site on 18th March 2017. 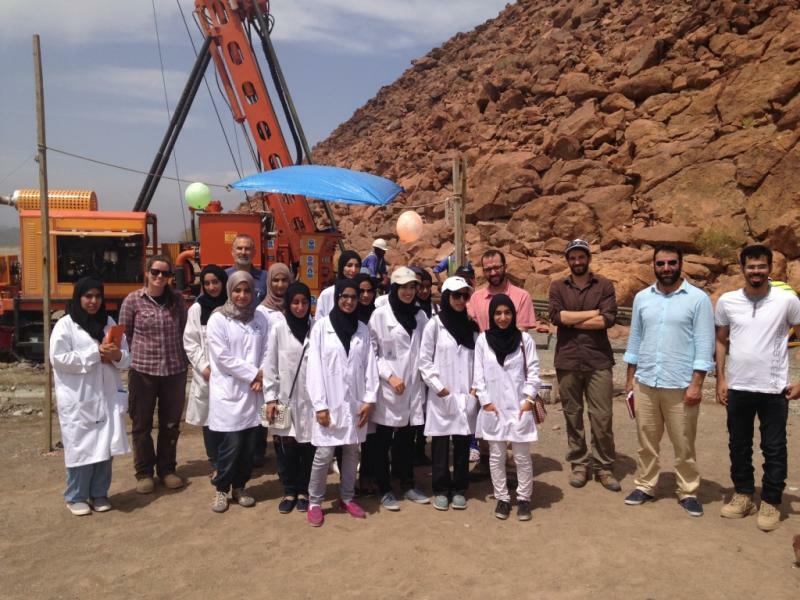 Site Visit: Scientists from the Ministry of Regional Municipalities and Water Resources Muscat visited the BT1 site on 15th March 2017. Seminar: Chief Scientist Prof. Peter Kelemen gave a seminar at Sultan Qaboos University on 15th March 2017 on weathering and alteration of the Samail Ophiolite. 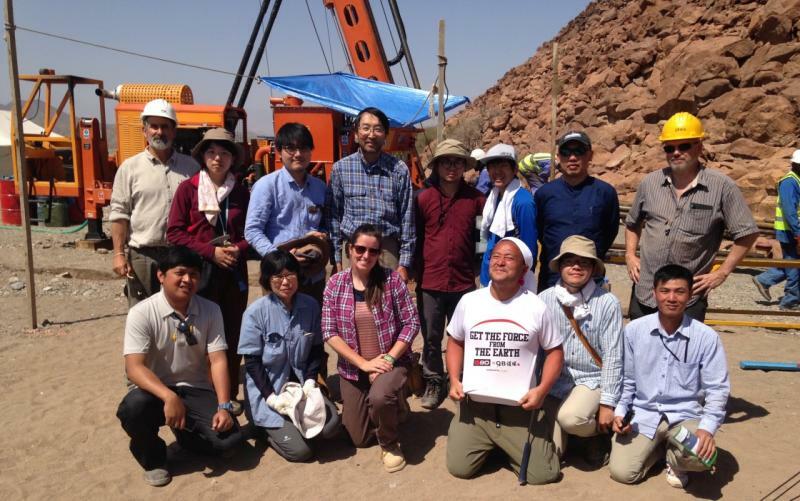 Site Visit: We were visited at the BT1 site on 11th March 2017 by Geoscientists from univerisities and institutes in Japan, who will participate in Phase 2 of OmanDP. 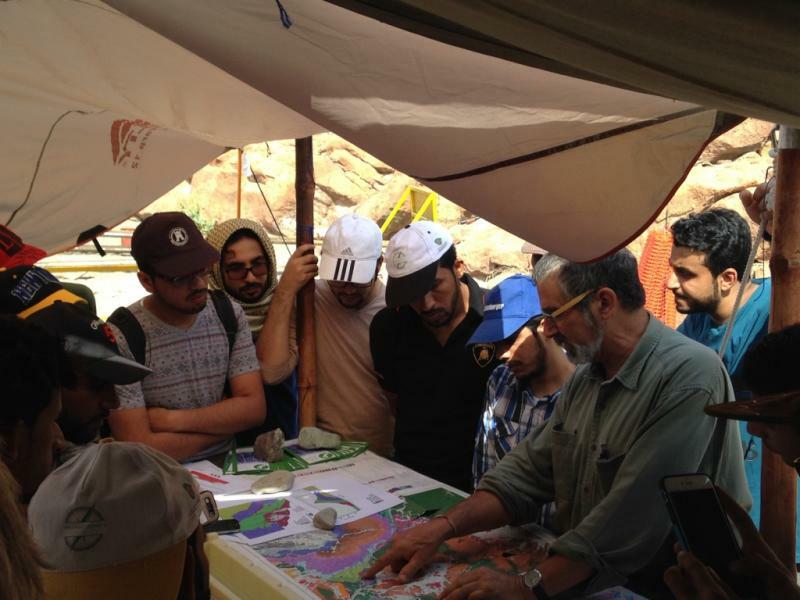 Site Visit: A group of Geology students from Sultan Qaboos Univerity visited us on 9th March 2017 at the BT1 site. 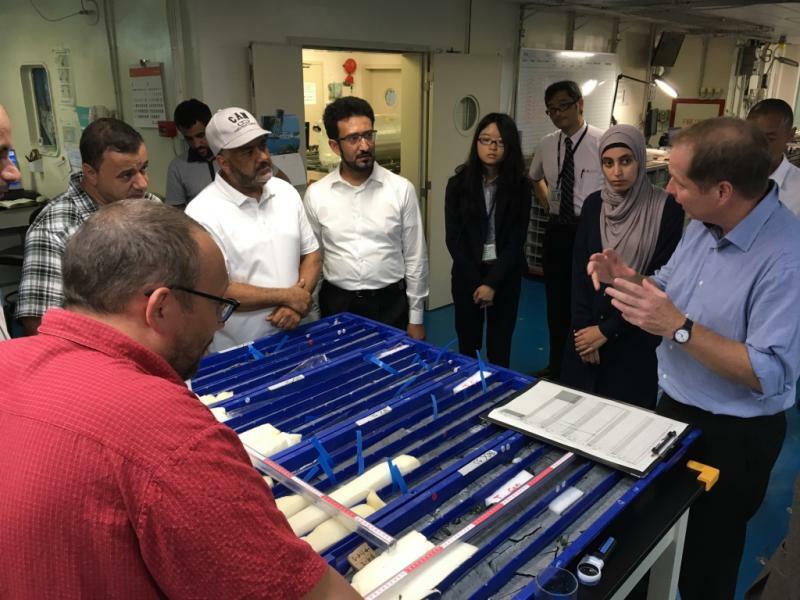 Workshop: OmanDP Phase 1 Workshop, Sultan Qaboos University, Sultanate of Oman, 26th February 2017. 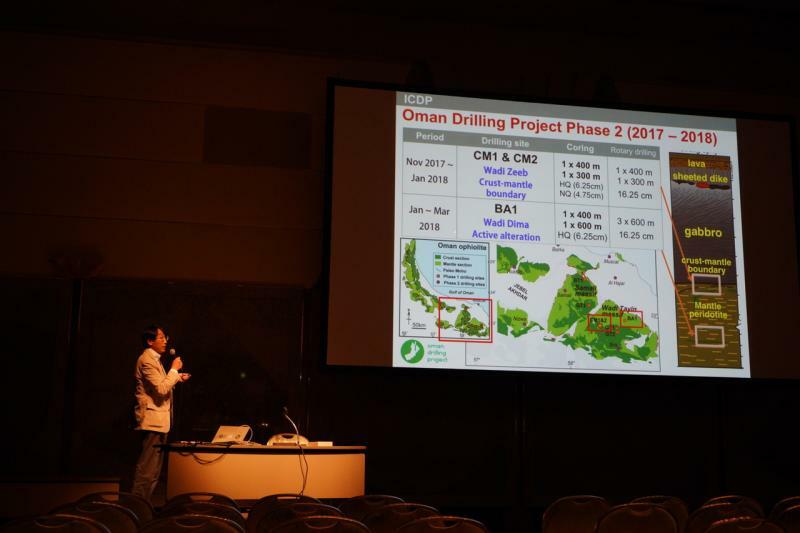 Seminar: Oman Drilling Project Presented by Prof. Juerg Matter and Dr. Jude Coggon. 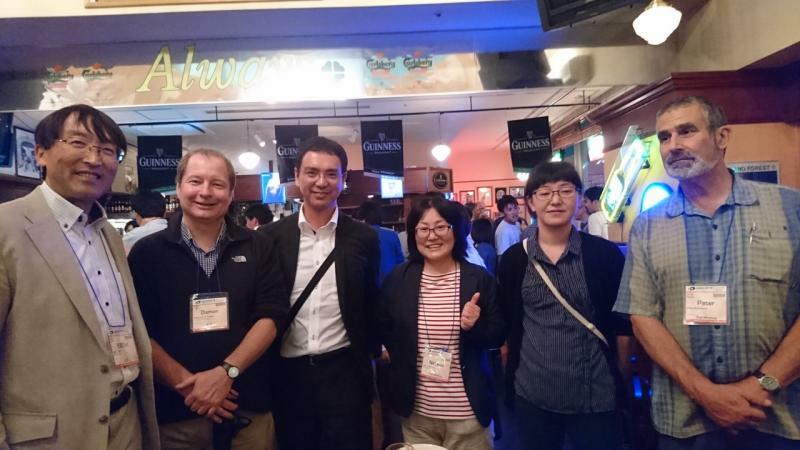 Hosted by Geological Society of Oman at PDO, 2nd March 2016.